IKEA is getting rid of window blinds with cords because of the strangulation risk for children. IKEA said it will no longer sell window blinds with cords because of the risk of strangulation. An average of one child per month died from strangulation by window cords between 1996 and 2012, according to the U.S. Consumer Product Safety Commission, a fact that spurred IKEA's decision. IKEA said that none of its U.S. stores are selling blinds with cords as of Oct. 1. 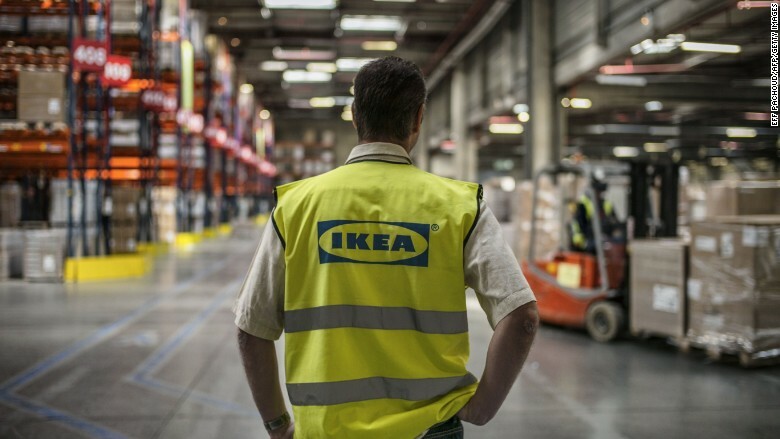 The Swedish furniture retailer plans to go global with this policy by Jan. 1, 2016. IKEA isn't the only retailer to do this. A spokeswoman for Target (TGT)said the company stopped selling window blinds with cords earlier this year, in the spring. The U.S. Consumer Product Safety Commission praised the companies for getting rid of the blinds. "This a bold step by IKEA and Target," said commission chairman Elliot Kaye. "This is the exact kind of leadership and corporate responsibility that has been needed to end the decades of senseless and preventable deaths of children from window cord strangulations." A spokesman for Lowe's said the company is "aggressively exploring options" to eliminate window coverings with cords by the end of 2018.